I watched Thor yesterday. I had to pay extra to see it in 3D, because that was the only time it would fit into my schedule, and I would not recommend bothering with the upgrade. I expected an entertaining film with some nifty special effects and a storyline that merely gave the producers a chance to show off all the cool stuff they dreamed up. I admit my expectations going in were fairly low, but other than the 3D version not enhancing the experience much I was pleasantly surprised. The effects were well done and I was very impressed by the landscape, weapon and armor designs. What impressed me most was that it told a good story. I'm sure many will say it was a bit predictable in places but, unless it is pathetically so and this was not, I do not necessarily see that as a fault. The characters pull you in and have you cheering, silently in my case, for them from the beginning. Chis Hemsworth did a good job of portraying Thor as a likable, but reckless, character in the beginning and carried his ongoing, albeit quick, character transformation well. I would not classify the end of the film as 'happy', ie. everyone gets what they want, but it was a good ending in that it finished the story while leaving it open for a sequel. Thor is a fun movie and I will recommend it to my friends. I give it a 7 out of a possible 10. 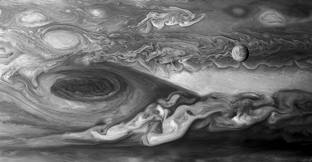 Tonight, Europa becomes the subject of speculation ... again. Question: Why is it that we're still talking about something that "happened" over 30 years ago? Answer: because NASA hasn't done much since. And to that end, I'm about to pitch myself on the floor and throw a real tantrum. "Is our space vision shortsighted?" Is the sky blue? Is the grass green? One more reason to head out WAY out there ... one of Saturn's moons, Titan, may also have something close to water beneath a formidable shell. Are we alone in the universe? Better question, are we alone in our own solar system? And lookie here! The New York Times wants to know too. And so does the University of Central Florida. Thank you for tuning in to tonight's news about EUROPA. Thanks geeksaresexy.net for telling me about it!